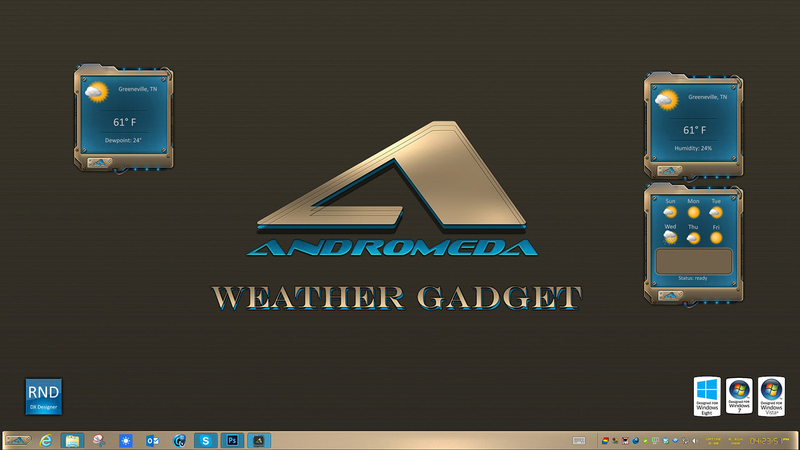 Based on the awesome Andromeda windowblind by vStyler. Standalone gadget, no software needed! Scripting by sViz, icons by AVMAN. Works on Vista, 7, and Windows 8! Nice of you to say, Tom! Thanks!